One of the most beautiful beaches in Greece. 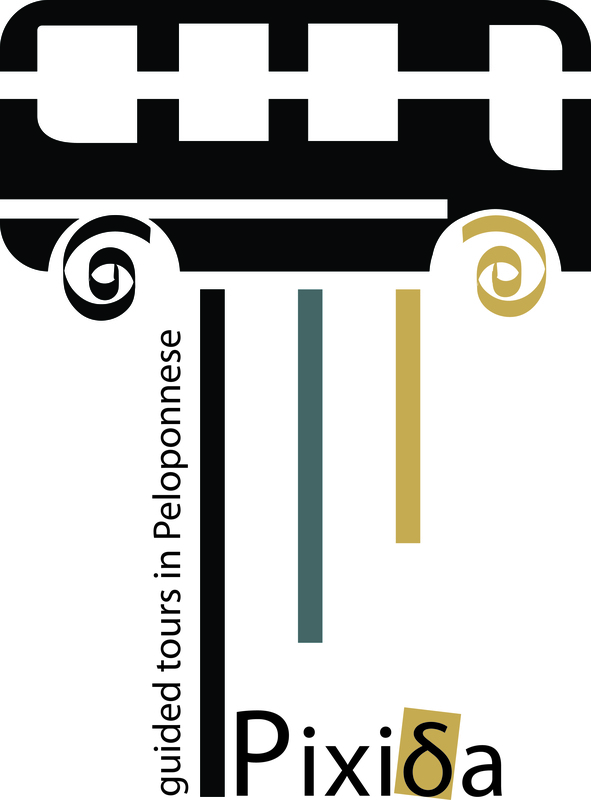 Our trip will begin from your hotel and crossing streets filled with olive and orange trees but also with myths and traditions, for about an hour, we will reach the hill in front of Pylos. The first time that you confront the bay of Navarino, combined with the castle and the green colors of Pylos, is going to be one of the moments of the tour that you will never forget. From up there, where is going to be also our first stop, you will be able to see both small and larger islands. The huge rocks in front of us look like an entrance to the sea and are parts of the island of Sfaktiria. At the southern end of this island, you will be able to admire the ruins of a fortification wall built by the Spartans, in 425 BC, during the Peloponnesian war. 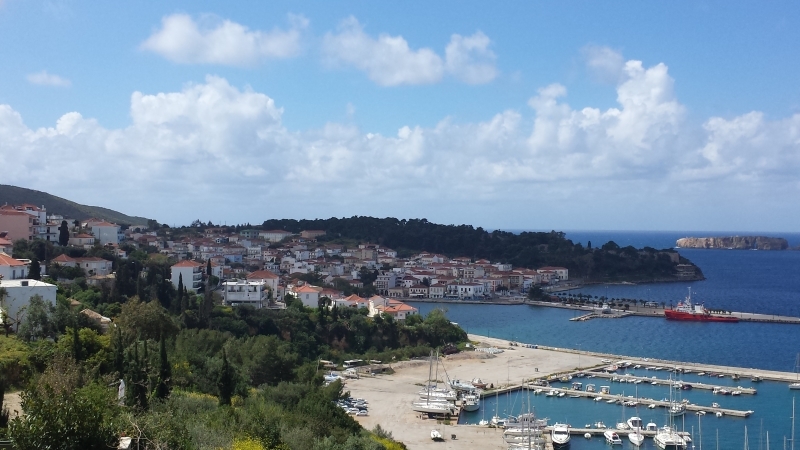 The picturesque town of Pylos will welcome us soon. While enjoying your coffee at the town's main square we will learn everything about its history. There, among the plane trees, stands the monument of the Three Admirals from Russia, France and England. You will also learn stories and tales of these three philhellenes. Before we leave Pylos, we will make our next stop at the castle known as Niokastro. It was built by the Turks in 1573 AD, but like every other castle in the region it constantly changed hands. As you walk the cobblestone streets you will admire the four cylindrical towers and the aqueduct, a legacy left by the Venetians. Our next stop will be the nearby beach of Voidokilia. 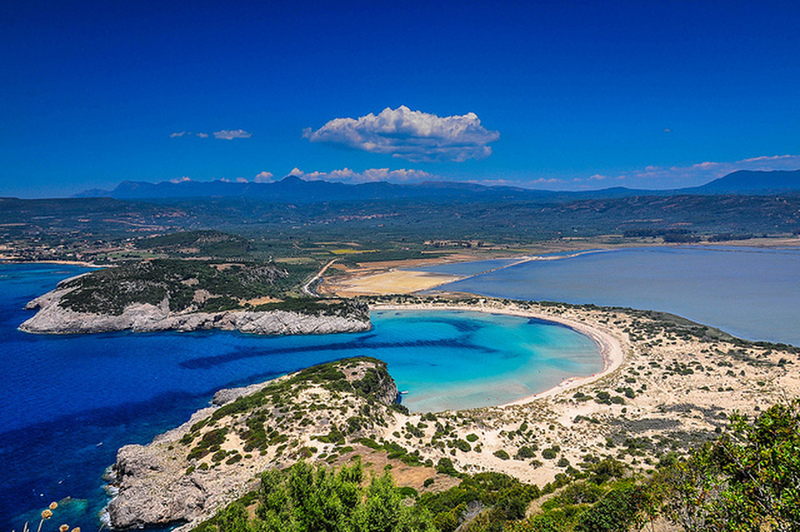 Only a few kilometers from Nestor Palaces we will encounter one of the most beautiful beaches in Greece. You will be impressed by its perfectly round shape and the golden colored sand. An experience not to be missed is to swim in its turquoise waters that lies ahead. The tavern on the seafront, in the nearby village of Yalova will appease our hunger. Alternatively, we can directly take the way back, so you have time to enjoy your afternoon swim in Kalamata.